Blooms well from midsummer through fall if faded blooms are removed regularly. A very free-flowering selection with a high bud count. Plants form a showy upright clump, blooming summer through fall. Bloom time is extended by deadheading but choose to leave some spent flowers on over the winter months to provide food for birds. Deer resistant and is a long lasting cut-flower. 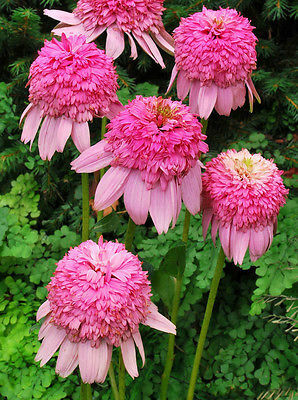 Echinacea is a tough, heat tolerant, easy to grow. A favorite flower of the Monarch butterfly. Echinacea is known to be particularly effective in speeding the recovery process of a number of common illnesses.